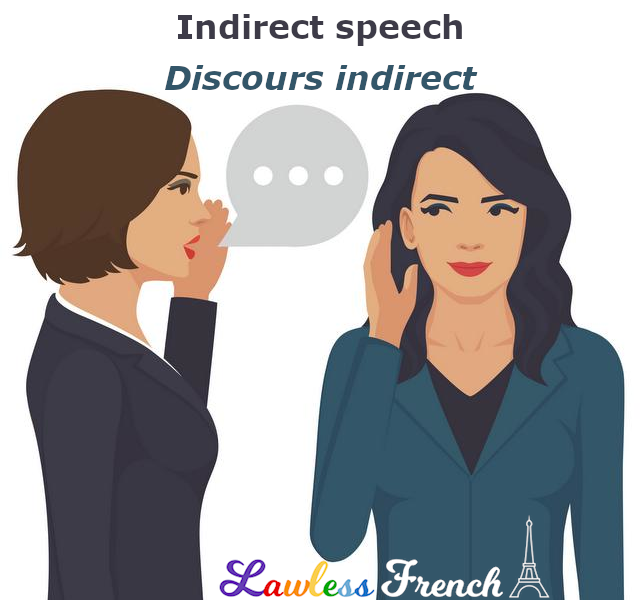 Direct and indirect speech are two types of reported speech which, you guessed it, are used to report someone else’s words. Indirect speech is considerably more complicated than direct as it involves several grammatical changes. Indirect speech requires a reporting verb to take the place of the quotation marks used in direct speech. The reporting verb must be followed by the subordinating conjunction que (usually) or si, with the original utterance turned into a subordinate clause. The most common reporting verb is dire (to say, tell) but there are many others. With the help of the reporting verb, you can paraphrase the original sentence, but this is where it gets tricky because certain grammatical changes are then required. 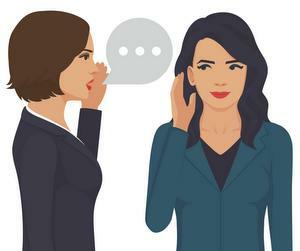 Since you’re expressing another person’s point of view, you need to change the subject pronoun (and any other personal pronouns) in the subordinate clause from first person to third person. Hélène dit : « J’espère étudier à Paris ». Hélène dit qu’elle espère étudier à Paris. Hélène says, "I hope to study in Paris." Hélène says she hopes to study in Paris. Of course, when the subject changes, the verb conjugation must change to match it. Lise remarque : « J’ai faim », Lise remarque qu’elle a faim. Lise comments, "I am hungry." Lise remarks that she is hungry. Likewise, you need to change any possessive adjective (or other expression of possession). Thomas écrit : « J’ai eu ma licence ! » Thomas écrit qu’il a eu sa licence. Thomas writes, "I got my B.A.!" Thomas writes that he got his B.A. When relating speech indirectly with a reporting verb in the present tense, the verb tense in the subordinate clause is unaffected, as you can see in the examples above. However, when the reporting verb is in the past tense, the verb in the subordinate clause may need to change. 1) If the verb in the subordinate clause is in the imperfect, past perfect, conditional, conditional perfect, or subjunctive, the verb tense remains the same (though the conjugation must still change to match the new subject). > Marie a dit qu’elle avait froid. Marie said, "I was cold." > Marie said she was cold. > Paul a écrit qu’il aimerait y aller. Paul wrote, "I would like to go." > Paul wrote that he would like to go. > Ana a dit qu’elle devait partir à midi. Ana said, "I have to leave at noon." > Ana said she had to leave at noon. > Thomas a proclamé qu’il aurait la réponse demain. Thomas proclaimed, "I will have the answer tomorrow." > Thomas proclaimed that he would have the answer tomorrow. Note: The vast majority of indirect speech is reported in the present/imperfect, so don’t stress out about the other verb tense/mood changes.